The Nintendo Switch is dropping on March 3, less than a month from now, and it feels like we still don’t know some key features about the console. But how does that compare to other console launches? Is this lack of information unprecedented or par for the course? So what don’t we know about the Switch? Although we know it will have a paid online service, we don’t know how it will work or what it will look like (though we know Miiverse won’t be part of it). We don’t know if it will have an achievement system. We also don’t have any concrete information on the Virtual Console, Nintendo’s service for selling digital versions of their classic games, which has been a huge feature on Wii, Wii U, and 3DS. To see how other consoles compare, we looked back at three different launches: the Wii U, the PS4, and the Xbox One. It’s worth recognizing that online services just aren’t as big a part of Nintendo consoles as they are on Sony and Microsoft ones. Until now, Nintendo’s online services have been free, and also kinda janky. In any case, we did know about the Miiverse by mid-June 2012—the Wii U would drop on November 18 of that year. By September 14, we also knew that Miiverse would feel more like a social network than a matchmaking service. As for Virtual Console, we knew that the Wii U’s version of the classic game service would allow you to transfer your old Wii VC purchases by June, 2012. With the Wii U release in November, that means we had we had concrete information on this key feature five months prior. Regarding the Virtual Console on the Switch, Reggie Fils-Aime has said that more information will come “at a later date,” and also that the introduction of the Nintendo Account has the potential to tie purchases to a particular user. Compared to what we knew about Virtual Console for the Wii U this close to its release, that’s pretty lacking in substance. Information about the Playstation 4's paid online service and achievement system were revealed at Sony’s E3 press conference in 2013. Some information was clarified closer to release, specifically that the PS4’s online service wouldn’t stick streaming video sites like Netflix behind a paywall, but for the most part, once E3 was over this information was in the wild. Backwards compatibility was slightly more vague. Backwards compatibility was mentioned at E3, and by September 2013, we knew that Sony intended to make the PS3 library playable via Gaikai streaming the following year. The console was set to drop November 13, 2013—again, most of the above information was in the wild five months in advance. Similarly, Microsoft dropped most of the vital information about the Xbox One at their June 2013 E3 press conference, including information about Xbox Live and changes to the achievements system. Unlike Sony and Nintendo, Microsoft did not emphasize any kind of backwards compatibility—the console wouldn’t be able to play 360 games until June 2015—but Microsoft did claim it would continue to invest in the 360 to push it into new markets. The console released November 22, 2013. Looking at this information in aggregate is kind of worrying—it seems like five months before release, we knew a lot more about the Wii U, the PS4 and the Xbox One. 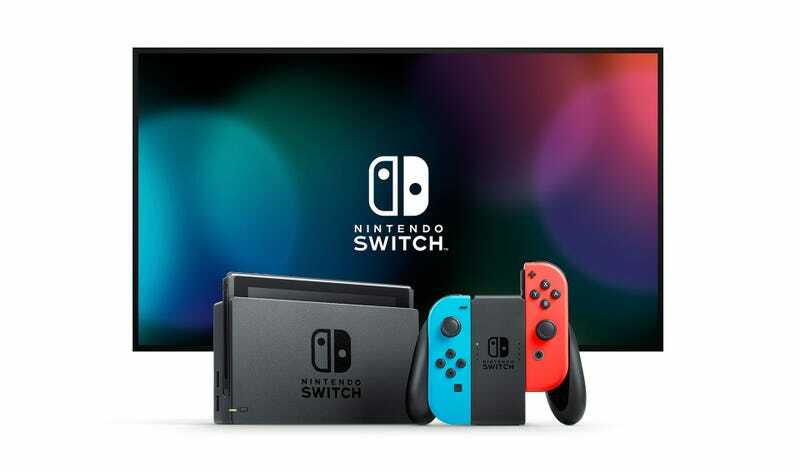 But what’s especially worrying is the lack of information on Virtual Console, which is a key feature specifically for Nintendo consoles, and could make the Switch a must buy. If you just want a Zelda machine, you already know everything you need to know for now. But compared to previous consoles, the Switch appears to be built on a foundation of hype more than anything else.